Shakespeare, Trauma and Contemporary Performance examines how contemporary performances of Shakespeare's texts on stage and screen engage with violent events and histories. 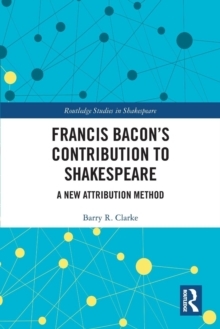 The book attempts to account for - but not to rationalize - the ongoing and pernicious effects of various forms of violence as they have emerged in selected contemporary performances of Shakespeare's texts, especially as that violence relates to apartheid, colonization, racism, homophobia and war. 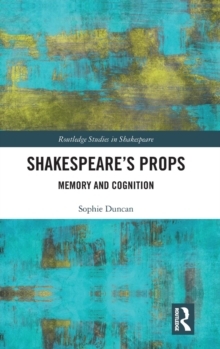 Through a series of wide-ranging case studies, which are informed by debates in Shakespeare, trauma and performance studies and developed from extensive archival research, the book examines how performances and their documentary traces work variously to memorialize, remember and witness violent events and histories. 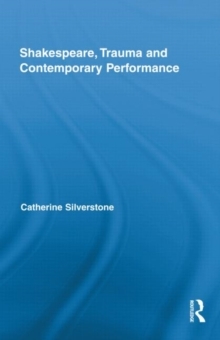 In the process, Silverstone considers the ethical and political implications of attempts to represent trauma in performance, especially in relation to performing, spectatorship and community formation. Ranging from the mainstream to the fringe, key performances discussed include Gregory Doran's Titus Andronicus (1995) for Johannesburg's Market Theatre; Don C.
Selwyn's New Zealand-made film, The Maori Merchant of Venice (2001); Philip Osment's appropriation of The Tempest in This Island's Mine for London's Gay Sweatshop (1988); and Nicholas Hytner's Henry V (2003) for the National Theatre in London.